WOMAN LEAVES TROLLEY IN CARPARK AFTER UNLOADING. 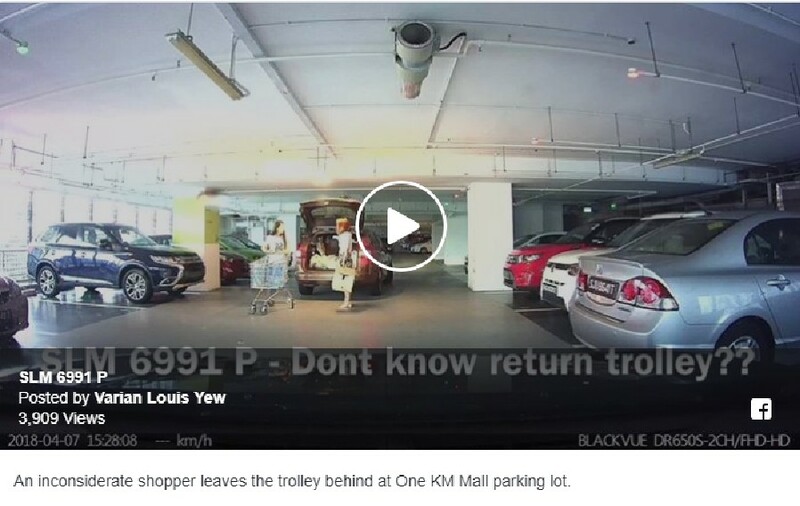 "SO CONSIDERATE"
A netizen uploaded a video of a woman that left her supermarket trolley at the carpark. An inconsiderate shopper leaves the trolley behind at One KM Mall parking lot.